There are some weeks I look at my calendar and think to myself, “how am I going to find the time to eat healthy?” When I find myself asking that question, I know I need to do a little bit of meal prepping, so I make healthy food choices all week. It took approximately 10 minutes this morning to whip up a batch of Paleo muffins. It is a very simple recipe and extremely versatile. You can add in different types of nuts or fruit for new flavor combinations! 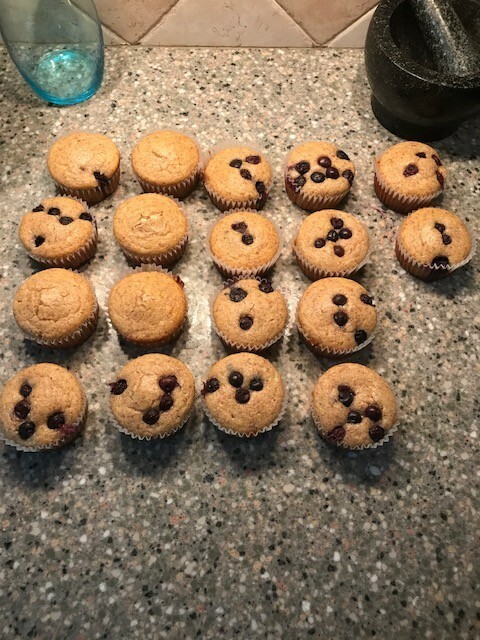 Today, I topped half of the batch with fresh blueberries, and added cinnamon + vanilla to all of the muffins. Let me know what your favorite variations are! Optional: 1/4 teaspoon cinnamon, vanilla to taste, fresh berries, chocolate chips, nuts. Mix and match! Step five – fill muffin cups and bake for 12 to 15 minutes.